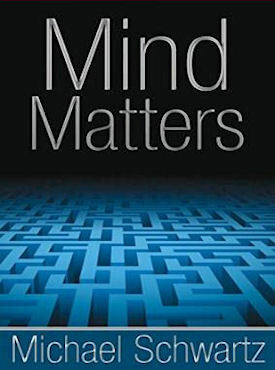 Mind Matters lights the path to understanding how your conscious and your subconscious influence, and even determine, how you feel and what you do every day. Your mind is your defender and your solution finder––the keeper of your past and forecaster of your future. Containing patterns of behavior, your mind creates who you are and who you think you are, and how you act and interact. Yet, does this “bio-computer” mind of yours operate in your best interests? How can you take control of this powerful resource? Mind Matters provides the keys and the practices with which to access the power of your mind and transform your way of thinking. Mind Matters teaches you how to realign your mental software. By using symbology, tapping into the God force, and blending spirituality with material reality, Mind Matters enables you to become who you really are, rather than who you were programmed to be.